The american astronoms will focuse their listenings of extraterrestrial researches on the 86 detected planets (amongst th 1235 found until today) that have a surface temperature that goes between 0°C and 100°C. 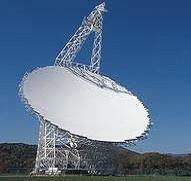 Each listening will take a day with the Green Bank Telescope, this new tool that replaces the German radiotelescope that broke because of ice in 1988. In term of comparison, one day of listening with this brain new tool is equivalent to 300 days of listening with Arecibo radiotelecope.